'Father And Son' Is Part Homage, Part Indictment Marcos Giralt Torrente's memoir of his absentee father, the famed Spanish painter Juan Giralt, frequently resorts to lists and repetition to get across Torrente's exasperation, anger and love. 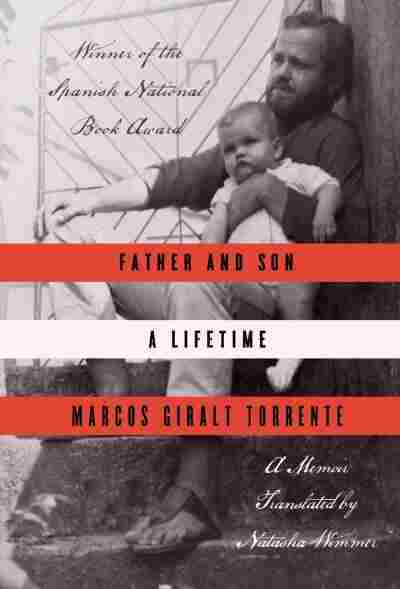 Add Marcos Giralt Torrente's Father and Son: A Lifetime to the shortlist of worthwhile memoirs about mourning a parent — a list that includes Philip Roth's Patrimony, Paul Auster's The Invention of Solitude, and Hanif Kureishi's My Ear at His Heart, all of which the author cites as touchstones for his exploration. Torrente, a Spanish novelist and critic, won his country's National Book Award for this searching inquiry into why his father, who infuriated and disappointed him so profoundly, also mattered so much to him. Part homage, part indictment and more critical than elegiac, it is a searing cry of love. Born in 1968 in Madrid, Torrente was the only child of the painter Juan Giralt. Giralt left home frequently, and then entirely by the time Marcos was 10, leaving the boy with his resourceful, doting, devil-may-care mother while he pursued both art and women. Torrente's book catalogs his encounters with his father year by year, and his grievances over the paltriness and dissatisfactions of these meetings. His most bitter complaints involve his father's failure to provide financial support even when he and his mother fell on hard times, and his own displacement by the woman he refers to exclusively and pointedly — even after she has been married to his father for 20 years — as "the friend he met in Brazil." To convey the mounting evidence of his father's shortcomings, Torrente's rhetorical devices of choice are repetition and lists, faithfully conveyed in Natasha Wimmer's deft translation. Torrente begins three paragraphs in a row with "And that's not all," as he describes his parents' messy, imploding codependence in the 1970s. At one point, he cites 10 reasons, each riding its own sentence, for the roadblocks he and his father hit in their relationship, including: "We got stuck because we thought that life was infinite. ... We got stuck because I made him the creditor of a debt that I tried to call in when it had already expired. We got stuck because life's greatest lessons often come too late." Sometimes Torrente's litanies broadcast classic adolescent contempt rather than legitimate complaint: "I was outraged by his aloofness, his slipperiness, the way he ignored my arguments. I was outraged by his lack of understanding. I was outraged by his sense of superiority, his social clumsiness, his self-absorption. I was outraged by how fat he was, by the way he dressed, by his increasingly bourgeois life." If this book were nothing more than a catalog of gripes, it would hardly merit attention. What elevates Father and Son is Torrente's exploration of the nature of father-son expectations in general — and his in particular. His reflections on delving into this tricky subject, writing "for the first time in my own voice" rather than in fiction, add further depth. "This is a story about two people, but I'm the only one telling it. My father wouldn't tell it. My father kept almost everything to himself," he reminds us repeatedly. But Torrente did write about the relationship, obliquely, through his fiction, while his father was still alive. And he shows, fascinatingly, how that work — whether he meant it to or not — got through to his father in a way that he never could, face to face. One thing that got his father's attention was the addition of his mother's last name, Torrente, to his pen name in tribute to her primary role in his life. His father took it as a nod to the artistic influence of his maternal grandfather, Gonzalo Torrente Ballester, a well-known writer. But Torrente insists that his father, whose art he admires, was his "main aesthetic referent." Above and beyond its intellectual and literary merits, Father and Son moves us because of Torrente's passion. When Juan Giralt falls ill from advanced cancer in 2005, there's nothing ambivalent about his son's response: The writer upends his married life in Valencia to spend more than a year taking care of his father in Madrid, 300 miles away. Not only does he achieve a new closeness to his father in the process, but he wins another bittersweet victory: In his father's last months, Torrente finally, handily supplants his bête noir, "the friend [his father] met in Brazil."